Months of preparation and planning. Assembling a huge array of technical gear. The Houdini act of packing within the constraints of car-boot capacity or excess baggage. Then the gruelling trip to Base Camp, followed by the daily assaults on the hill. Every day is a challenge of determination, logistics and man-management as you seek to get every member of the party motivated to venture once more into the cold. And of course, it’s not about You. Your role is simply to carry the gear and survive until it’s time to take the photos of the Victorious with their medals. Why is it that half term skiing can sometimes feel like an EVEREST expedition?! Half-term skiing is a cracking holiday, but boy, can it be tiring for parents. In addition to the challenge of keeping the kids warm and happy, it is also the busiest week of the season – so pretty much everything comes with a queue. So we at In The Snow gathered some helpful advice from a few family skiing experts to see if we can turn your half-term break into a full-time breeze. 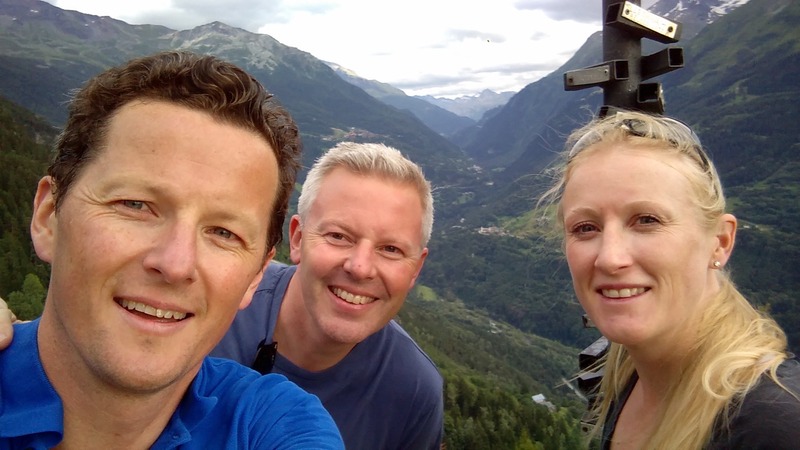 Where better than Huski – a food & drink delivery service run by British skiing parents who were so frustrated by their experiences of family trips that they started a company to do something about it. Based in Bourg-Saint-Maurice, down-valley from Tignes and Les Arcs, we met with founders Anna, Paddy & Mark. 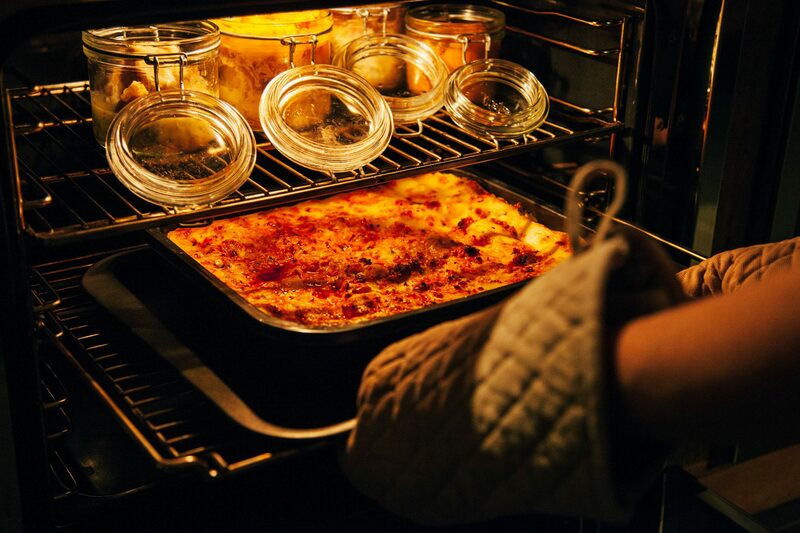 They started Huski three years ago to offer a meal delivery service akin to Deliveroo or Hello Fresh – to take the hassle and cost out of Alpine Self-Catering. Now, these guys have serious family credentials: Among the Huski team they have 12 kids and 100+ family ski trips under their belts, so they know a thing or two about how to ace a half term ski trip. ITS: So, guys where did the Huski idea come from? HUSKI PADDY: We were mates who have been skiing together for years, but when the kids turned up we seemed to spend more time on errands and cooking dinner than we did enjoying the Aprés or chilling out. We felt that an urban-style online delivery service would work really well in the Alps. We dreamed of sorting dinner from the chairlift and that’s what we set out to build. ITS: And how’s it going? This is your third season, right? HUSKI MARK: It’s going pretty good – we have definitely proved that we weren’t the only ones who wanted a service like this! While it’s been hard work we keep getting 5-star reviews and the word is spreading – so much so that we are now delivering to all 250 resorts in the French Alps. ITS: Wow. So how does it work for our readers? HUSKI ANNA: It’s pretty simple. It’s online shopping in the mountains, really. Most people order online a week or two before they come out. Our biggest sellers are Welcome Packages for that first night/day in resort where you want to you arrive to a nice dinner and a drink, and have breakfast sorted for the morning; or our 3-night bundles where people plan on staying in half the week and going out for the other half. We deliver everything into your chalet or apartment before you arrive, so that dinner, and a nice glass of wine, will be waiting for you when you get in. ITS: And who makes your food? HUSKI PADDY: We make all the Savoyard classics like Tartiflette in our own kitchen, and everything else comes through a unique partnership we have with COOK the UK’s frozen food geniuses. Between us and COOK we have about 60 dishes from Breakfast to Teatime and Dinner. We’ll even sort the Canapés, as well as the beers and wine. ITS: So, Huski sounds like a great solution this half term, but apart from booking loads of Huski meals (!) what other tips do you guys have for our readers so that parents can have a more chilled out trip this year? HUSKI PADDY: Well, similar to our service, a great start is to book everything you can before you travel. Pre-booking your lift pass is one less queue to stand in on that hideous first morning. Another great queue dodge is to book a ski rental delivery service. Companies like Tignes Spirit or Rental Republic will send a mobile ski shop to you. Take it from me, having your ski boots fitted in front of the fire with a cold beer is a lot more enjoyable than a crowded ski shop on the Sunday morning. HUSKI MARK: And if that doesn’t work rent your skis next to the lifts and rent a locker. This way you’ll never have to carry your gear or walk around in Ski Boots. ITS: Now you guys are obviously food people – what are your tips for feeding the family on the Slopes? HUSKI ANNA: Lunch should be a relaxing high-point of the day so it’s a great idea to book a table in a mountain restaurant the day before. There’s nothing worse than having hungry kids in tow while you haggle for a table in a packed restaurant. Or if you want to maximise your ski time and save a ton of money pack a picnic. These days there are tons of free sheltered and indoor picnic areas on the hills, perfect with older kids who don’t want to sit around for hours at lunch. HUSKI PADDY: A good thing about picnicking is you can plan to avoid the lunch rush and ski midday when the pistes are empty. You can do the same with Ski School, where you can avoid the usual 9-11 slots and put your kids in from 11.30-1.30. This gives you a more leisurely start to the day and a later lunch in emptier restaurants. Zig while they zag! HUSKI MARK: Then some tips are super simple. Like buy Suncream in stick form, not creams or sprays – so you can reapply the kids on a lift without having to take off your gloves. And when it’s not sunny…kids hate skiing in whiteout so head for the lower slopes and tree lined runs where there will be more contrast (and less moaning). I think the Huski tips could have kept coming til Easter, but we had to go and make the best of the awesome conditions above us in Les Arcs. But a few key messages are clear to all you parents. (1) Plan ahead….book us much as you can from your sofa at home before you come out. (2) Think Different…90% of the resort hits ski school at 9 and lunch at 1, so you don’t have to. And (3) Have fun! It’s your holiday too… and remember one day your kids will be carrying your skis! HALF TERM SPECIAL : KIDS EAT FREE! With every 3 or 6 day adult menu, you will get a 3 or 6 day kids menu absolutely free.